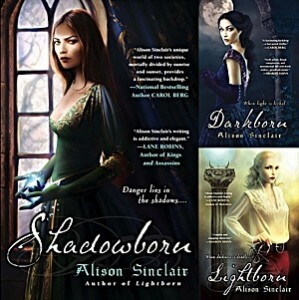 On May 1, ROC (Penguin) released the mass market paperback of SFCanada member Alison Sinclair’s Shadowborn, third book in the trilogy that began with Darkborn (2009) and continued with Lightborn (2010). Shadowborn was first published in trade paperback June 2011. Read the opening chapter of Shadowborn.